We recently discovered this new and innovative sailboat by C-Fly Coastal through one of their videos. The video demonstrates a remarkable combination of engineering, technology and a love for speed. If you caught any of the America’s Cup this past September, you probably noticed that the catamarans they sailed on looked as though they were hovering in the air 4-6 feet above the waves. If you were like us, we were watching it from home wondering what it feels like to go that fast and be that light on the water. The owner designers and creators of the C-FLY concept are Richard Varvill and Chris Edwards. Dr Nigel Wright and Peter Whitelaw are on the team as crew. They all came together to create a fast and equally stable hydrofoil sailboat. 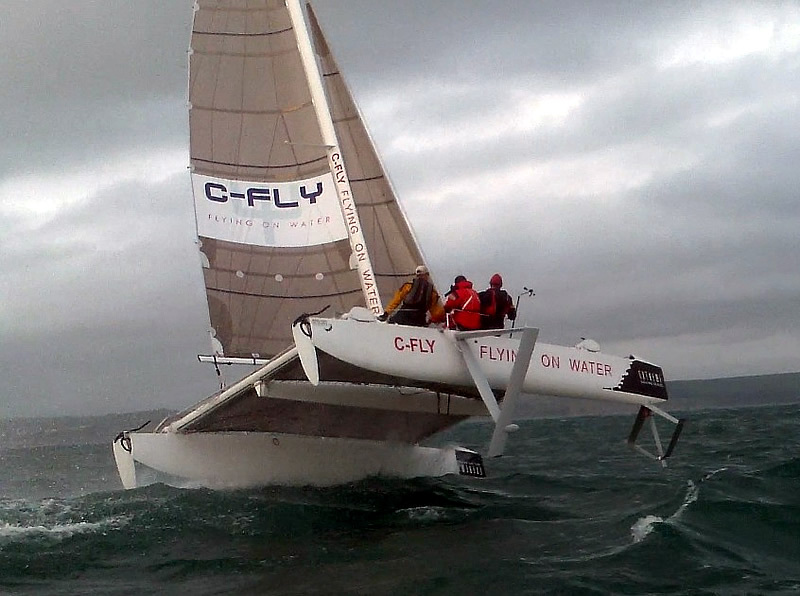 “C-FLY Ocean represents the emergence of a new species of hydrofoil sailing boat. She will be the 18m big sister to C-FLY Coastal; the revolutionary 40 knot, 8m hydrofoil sailing catamaran. 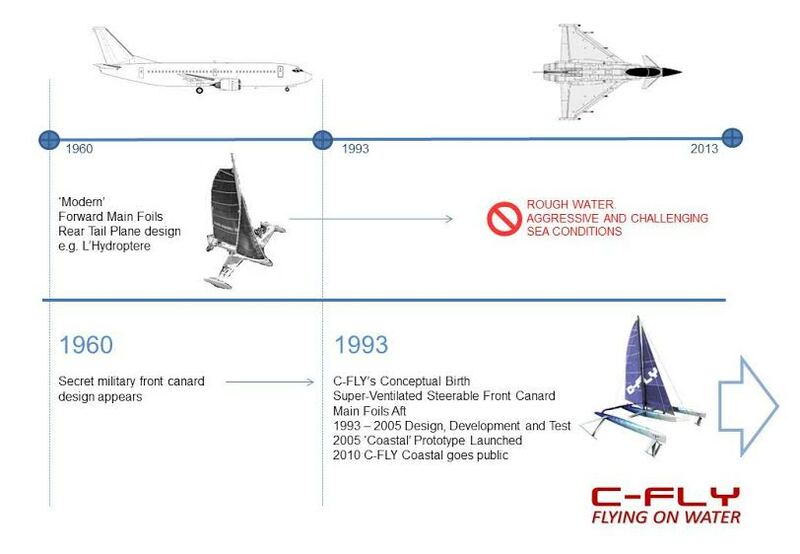 C-FLY has unique pioneering foil technology that enables sailing at high average speeds, in extreme wind and sea conditions. The hydrofoil configuration is analogous to a fighter jet plane where the craft is guided by forward mounted hydrofoil canards and lifted by rear mounted main foils. Unlike any other hydrofoil in existence, there is no need for pitch control systems; liberating her to tackle even the most aggressive sea conditions. Additionally, the foils can be raised out of the water to enable her to press on in light airs.